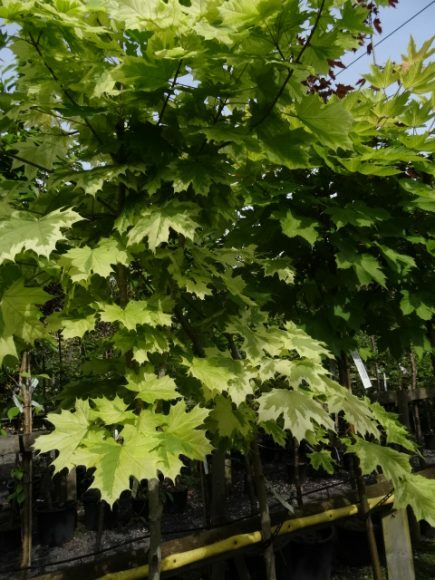 Acer platanoides ‘Drummondii’ is a deciduous tree with an eventual height of between 12-17m. 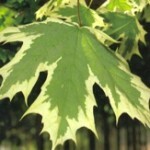 Its main feature is the magnificent variegated green and creamy white foliage. It has yellow flowers in the spring. 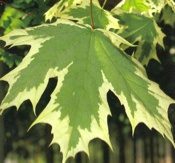 Acer platanoides ‘Drummondii’ is happy on most soils, and can tolerate air pollution. 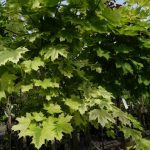 It requires plenty of space to reach its full growth potential.